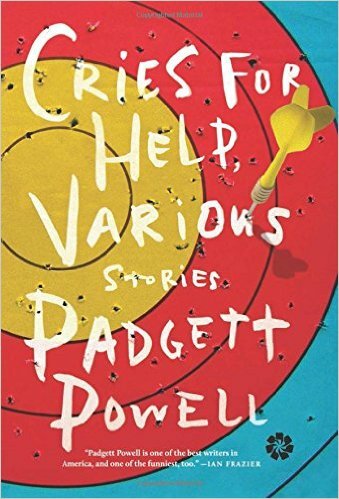 Padgett Powell's collection follows his mentor Donald Barthelme's advice that wacky mode must break their hearts. I have just come off of reading Cries for Help, Various, and I am changed. I am indoctrinated. I am a disciple. I am an earnest, resignedly bewildered, fan. 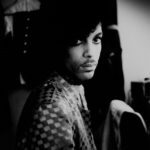 In brilliant and bizarre sentences, Cries for Help unfolds as a series of insane sprints across the dark side of the imagination, written in a tone of barely controlled mania that retunes the tenor of your thoughts ... This would all be dismal, insufferable, probably, if weren’t for the simple fact that the guy is hilarious: absurdist humor does not get more absurd than the short stories here ... Cries for Help, Various is an excellent collection. I don’t always get it, but not entirely getting it is sort of the point. Some of the stories are dreamy, such as the nostalgic 'Dusk' and the trippy 'Solitude'; others are nightmarish, like 'Wearing a Meat Shirt and Killing a Snake': 'We hoped that olive loaf would appeal even less to them than it did to us.' Others lean toward political satire, like 'Change of Life,' about a man who discovers the great secret of capitalism in a machine that shoots cookies, or simply play with the surreal nature of politics, as in a cluster of stories about former Russian President Boris Yeltsin, who tells us, 'To Putin I have given over everything but the nuclear suitcase...I have found the nuclear suitcase to be a superior chick magnet.' And then there are a few that will flat crack your heart ... Every one of them is a voice worth hearing. These stories are very much in the key of Donald Barthelme — one of the book’s two dedicatees; the other is Powell’s deceased pit bull — with touches of Nicholson Baker’s fascination with the microscopic and the nostalgic ... The effect of reading these stories consecutively is a bit like being buttonholed by the garrulous old-timer at the bar whose manifold enthusiasms may be the result of alcohol, mild insanity or academic tenure (or, as is often the case, all three), but whose digressions you keep listening to because, in the midst of their nonsensical grandstanding, they regularly embed a fragment of wisdom, a brilliantly turned phrase or a laugh-inducing one-liner. What did you think of Cries For Help, Various?